The Smithsonian American Art Museum has acquired two video games for its permanent collection, “Flower” (2009) by Jenova Chen and Kellee Santiago of thatgamecompany and “Halo 2600” (2010) by Ed Fries. These acquisitions build upon the museum’s growing collection of film and media arts and represent an ongoing commitment to the study and preservation of video games as an artistic medium. The brief history of video games already includes several generations of both games and gamers. The rapid evolution of technology and the enormous cultural reach of video games have set the stage for a new genre in media art. Video games offer a compelling avant-garde performance space, activated by artists and players alike. These media art practices are distinct from film, video and theater and mark a critical development in the history of art. The museum is acquiring works that explore and articulate the unique boundaries of video games as an art form and plans to acquire additional video games in the future, working with artists, developers and programmers to represent this new creative practice. The inclusion of video games furthers the mission of the museum and ensures the ongoing preservation, study and interpretation of video games as part of the national collection of American art. March 16, 2012, through Sept. 30, 2012, and is currently on a 10-city national tour. 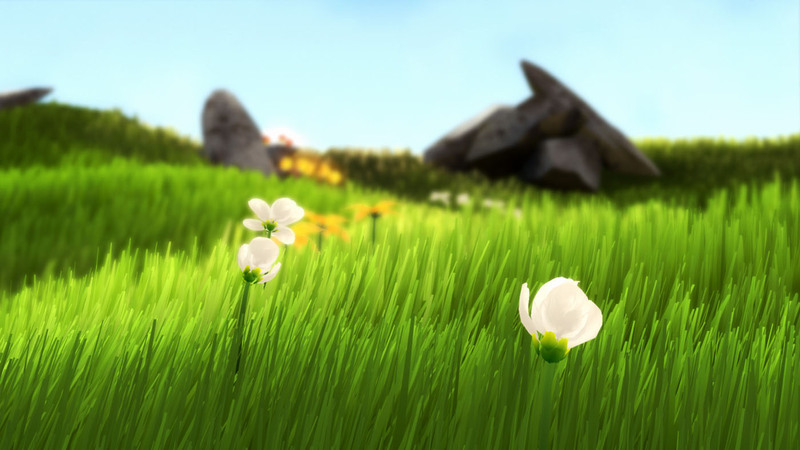 “Flower” represents an important moment in the development of interactivity and art. This innovative game puts the player in an unusual role—the wind—and uses minimal controls to create an emotional, immersive experience of the landscape which changes in response to the player’s actions. Conceived as an ‘interactive poem’ in response to tensions between urban and rural space, Chen and Santiago imagine an unexplored land for the player to discover. “Flower” presents an entirely new kind of physical and virtual choreography unfolding in real time, one that invites participants to weave aural, visual and tactile sensations into an emotional arc rather than a narrative one. While visually beautiful, “Flower” also demonstrates the importance of the interactive component. The work cannot be fully appreciated through still images or video clips; the art happens when the game is played. “Halo,” a series of popular science fiction games begun in 2001, has become a phenomenon with millions of players worldwide captivated by the multifaceted narrative and sophisticated graphics. 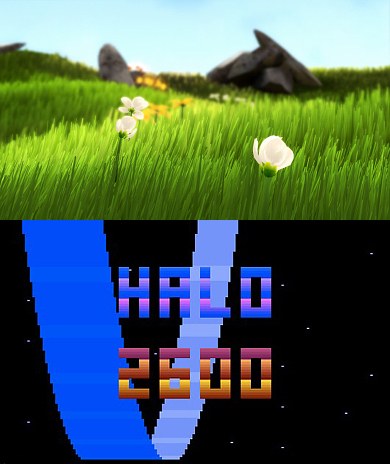 In “Halo 2600,” Fries recreated “Halo” for the 1977 Atari VCS (more commonly known as the Atari 2600), distilling the essence of the action game to its elemental parts while also paying homage to the classic elegance of early game design. The resulting experience compresses the complex, contemporary game into just 4K of RAM, creatively reversing the dramatic evolution that video games have experienced during the past four decades. 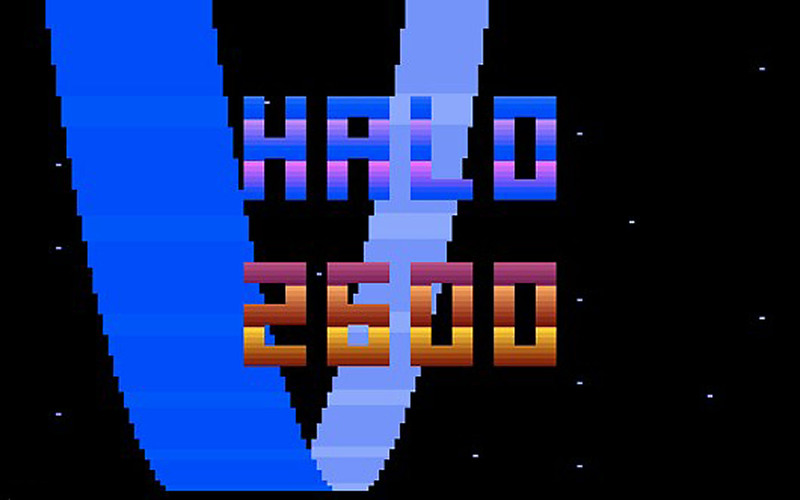 Commonly referred to as a “de-make,” “Halo 2600” deconstructs the gamers’ visual and virtual experience and returns game play to its most basic mechanics. Through “Halo 2600,” Fries illustrates the ever-changing relationship between technology and creativity. Video interviews with 20 influential figures in the gaming world, including Fries, Chen and Santiago, are available on the museum’s website and on YouTube at youtube.com/americanartmuseum. The public also may follow the museum for updates about the museum’s media arts initiative and related video game projects on Twitter by following @americanart and using #taovg or by subscribing to the museum’s email list at americanart.si.edu/visit/enews. The Smithsonian American Art Museum celebrates the vision and creativity of Americans with artworks in all media spanning more than three centuries. Its National Historic Landmark building is located at Eighth and F streets N.W., above the Gallery Place/Chinatown Metrorail station. Museum hours are 11:30 a.m. to 7 p.m. daily (closed Dec. 25). Admission is free. Follow the museum on Twitter, Facebook, Flickr, iTunes, ArtBabble and YouTube. Museum information (recorded): (202) 633-7970. Smithsonian Information: (202) 633-1000. Website: americanart.si.edu. Jenova Chen and Kellee Santiago, Flower, 2007, video game (color, sound), Smithsonian American Art Museum, Gift of thatgamecompany © 2008 Sony Computer Entertainment American LLC. Flower is a registered trademark of Sony Computer Entertainment America LLC.